What’s good? There are lots of positives about these boots, but the only place I can possibly start is with the price. At £680, I know there will need to be a lot of plus-points for anyone to consider splashing out such an amount on one pair of boots. Here goes. They’re amazingly comfortable, offer reassuring protection against impacts, awkward flexing and potential crushing thanks to an inner boot that’s made from a mix of tough aramidic fibre and plastic. The sole is tough as hell, but remains comfortable for riding and walking, and the ability to adjust the fit using Velcro straps on the inner boot and an adjuster at the calf means they can be worn over leathers, under textiles or with varying thicknesses of socks to suit the outside temperature. That riding comfort is boosted by the use of a Gore-Tex membrane in the inner boot, which remains the best option for keeping dry feet that don’t get sweaty and ponky on long, hot days. And, best of all in my opinion, I smacked them against the track in a recent crash and walked away, despite giving my feet and ankles a big enough whack to leave me convinced I’d broken my big toe (x-rays showed I hadn’t). They’re expensive, yes, but the outlay is reflected in the quality of the product for those that can afford it. 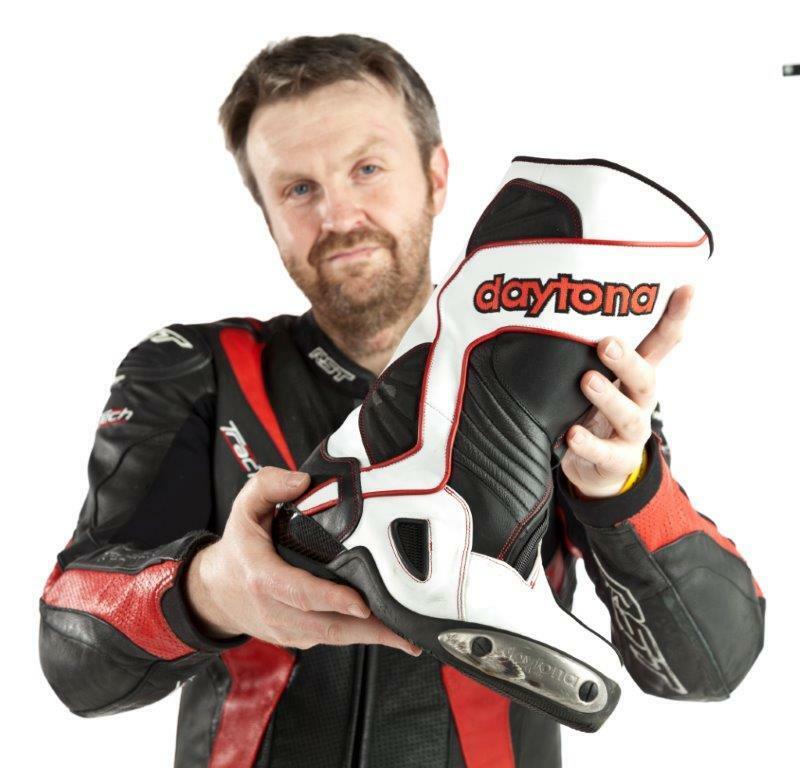 The importers say Daytona boots last some riders for 15 years, and a full factory rebuild service is available once they’re showing signs of a hard life, at an extra cost to the rider. What’s not? It’s hard to get away from the large outlay when there are highly protective and comfortable motorcycle boots available for a third of the price. My only other issue is that the zips curve up the boot, which boosts comfort at the cost of making them tricky to fasten sometimes.